With 65 years of exhibition experience, Marler Haley have some useful insights into the world of the job fair. One common suggestion that comes up in guides outlining how to succeed at job fairs is to ensure your CV is up to scratch, but how exactly do you do that? Seemingly obvious but you’d be surprised how many people forget to include them! Including them isn’t enough, either – provide a daytime contact number and an evening contact number, and make sure your email address is sensible: ‘sugardumpling123@casualmail.com’ won’t do! Each employer will have slightly different ethics, goals, and attitudes. Tailoring your CV’s bio section to these values is a good way to stand out from the crowd. Obviously everything mentioned should be true and supportable – making things up on a CV is a bad idea: a friend of mine who spoke basic Spanish wrote that he was fluent, not expecting to be called up on it, and suffered great embarrassment when the Spanish interviewer attempted to start a conversation. This isn’t limited to previous employment; if you’ve participated in any events or have received any awards that are relevant to the job you’re applying for, mention these too! Transferrable skills are favoured by prospective employers, so as long as you can explain how your event / award is relevant to the job, it’s worth mentioning it. Make sure you include references who have something good to say about you. I’ve heard horror stories in the past where a reference accused the prospective employer of forging signatures on company contracts, and destroyed his chances at ever getting a job with either company again. Contacting the prospective reference before adding them to your CV to check they don’t mind is a nice courtesy, as well. 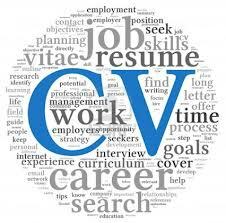 CV writing is a tricky task – it takes a lot of introspection and honesty, as well as requiring you to concisely summarise most of your education and career in one or two pages. It’s all too easy to underestimate (or overestimate!) yourself, so have your CV proof read by someone who’s not afraid to tell you if it’s not up to scratch – it’s better to hear it from them and change it than to ruin your chances at a job.